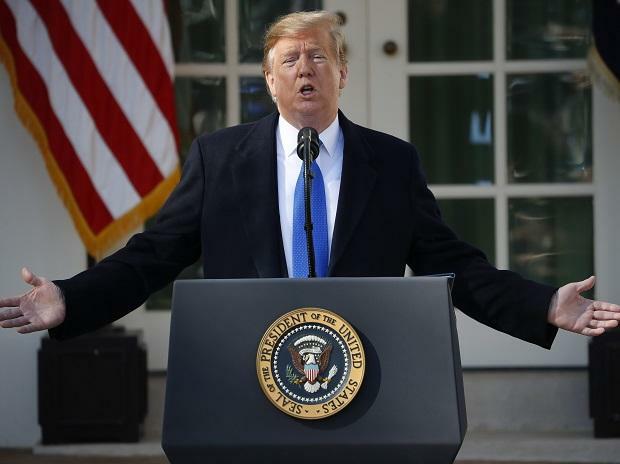 Three influential US lawmakers have urged the Trump adminstration to oppose the proposed multi-billion bailout package being sought by Pakistan from International Monetary Fund (IMF) arguing it could be used to repay the Chinese debt. In a letter to Treasury Secretary Steven Mnuchin and Secretary of State Mike Pompeo, the bipartisan group of three lawmakers Ted Yoho, Ami Bera and George Holding expressed their "deep concern" over the likely use of IMF's bailout package to repay the massive Chinese debt that Pakistan has accumulated under China Pakistan Economic Corridor (CPEC). "We write to express our deep concern over attempts made by the Government of Pakistan to seek a bailout deal with the International Monetary Fund to retrieve debts incurred from predatory Chinese infrastructure projects," the Congressmen said in a letter dated April 5. China, they said, is investing $62 billion in Pakistan under CPEC. "Its debt repayment and profit repatriation terms are not transparent and have understandably raised concerns inside Pakistan, they said. "Illustrative of the dangers of China's debt-trap diplomacy, Sri Lanka became unable to make payments on the Chinese debt it had taken for the Hambantota Port development Project," the letter said. Under "heavy pressure" from the China, Sri Lanka ultimately handed over 1,500 acres of land around the port for a 99-year lease, they said. "The impact of Chinese predatory financing in Pakistan, as already seen in the case of the Hambantota port in Sri Lanka, cannot be ruled out, the letter said. Asserting that there is a "critical need for transparency in projects including loan terms and contractual details, the Congressmen said "unless the terms are subjected to strict scrutiny" the Islamabad may use the IMF bailout package to repay Pakistan's debt obligations to China. Noting that Pakistan's history with the IMF gives further cause for concern, the US lawmakers said having spent 22 of the past 30 years in a dozen different IMF bailout programs, Pakistan has failed to carry out necessary structural economic problems. "Another bailout that fails to provide transparency and address issues of balance of payment, high fiscal deficit, and unsustainable debt will again be doomed to fail, instead enriching China, the three Congressmen warned. They said it is critical that the US continues to work to counter China's attempts to hold "hostage countries that are unable to repay unfavourable loans" in an attempt to further their geostrategic goals.